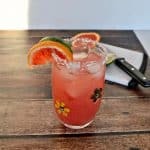 I enjoy making fun and flavorful cocktails using items I already have in the house. I usually like to use a lot of different ingredients in my cocktails but sometimes it’s nice to have a simple cocktail with simple ingredients. 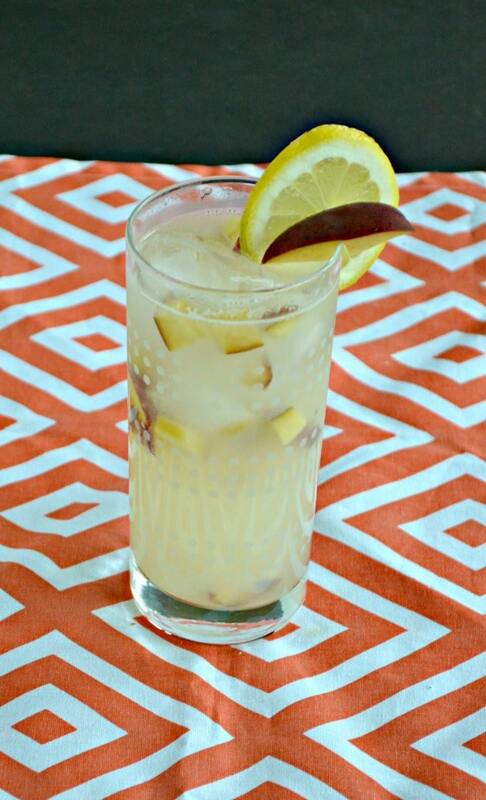 This Spiked Peach Lemonade is an example of that. Whenever it’s hot outside I often like to sit out on our porch and sip on a cocktail. I also don’t like to spend too much time out in the kitchen when it’s warm so I want a cocktail that only takes a few minutes make. This cocktail has 3 simple ingredients. It has lemonade (I prefer sparkling but you can use regular lemonade), peach vodka, and orange liqueur. That’s it! It’s the perfect refreshing cocktail for a hot evening outside. This cocktail tastes just like peach lemonade. You can hardly tell it has vodka in it which could be dangerous! 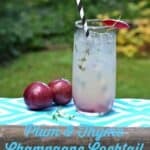 It has flavors of both the peaches and the lemons and I love that it’s bubbly as well. 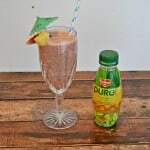 Give this fun cocktail a try tonight, you won’t be sorry! 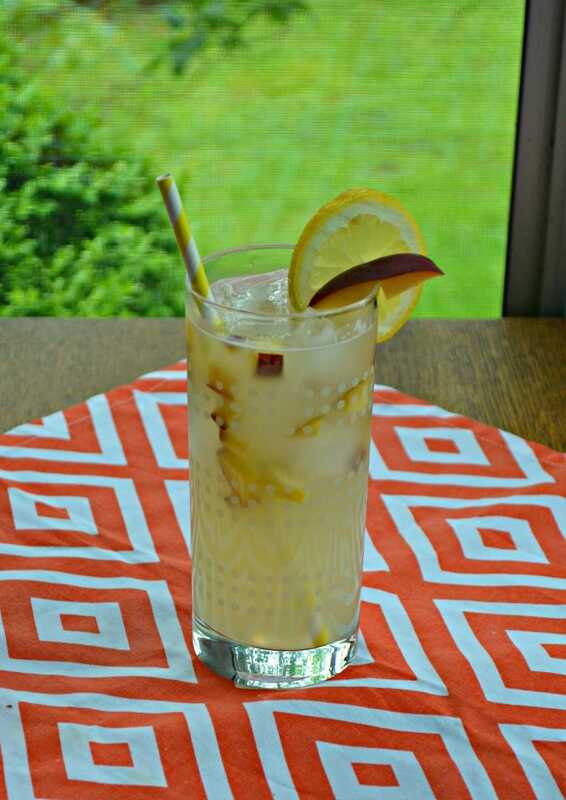 A refreshing peach flavored lemonade cocktail perfect for summer! 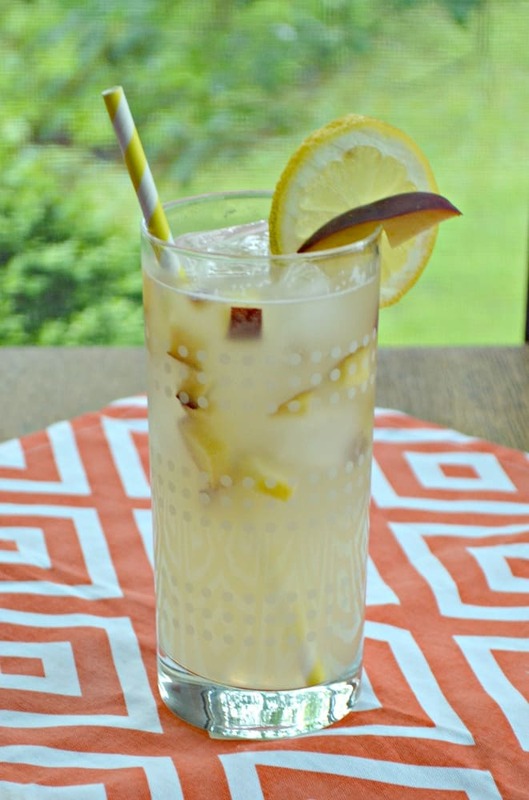 Pour the lemonade, peach vodka, and orange liqueur into a cocktail shaker and shake for 30 seconds. Divide between two tall glasses filled with ice. 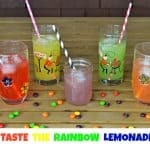 Garnish each glass with a lemon slice and a peach slice.